Having been in the past the city of Alicante, pioneered the installation of seismic instrumentation and possessing a great tradition in the study of many aspects related to the Simian phenomena, which crystallizes in names so designated as Rey Pastor, and Vicente Inglada, the University institution that, since 1968, is providing its services to Alicante society could not afford ignoring the existence of phenomena as significant. In this spirit the teachers Antonio Estévez Rubio and Jose Antonio Pina Gosálvez, of the Department of Earth Sciences and the environment of the University of Alicante requested the support of the Generalitat Valenciana through the Directorate General for environment played by D. Carlos Auernheimer, which in 1990 acquired the necessary elements to form the nucleus of a telemetric network of microseismicity, encomendandose to Professor D. Juan José Giner Caturla the task form and direct a team capable of proceeding with the installation, operation, development, evaluation and exploitation of it this was performed by phases over 1991 and following, reaching the fully operational in 1993. The collaboration of the Professor of University D. Carlos López Casado, specialist in seismic hazard and microzonation was invaluable during this process. At this time the system would be defined as a network of seismic with communications data acquisition and record analog, while its capacity limited by the record type, tailored to the arrival times of the seismic event, with an accuracy of a few tenths of a second, which transferred to the uncertainty in the position of the epicenter, and without taking into account other sources of error, providing locations with a margin of the order of the twelve kilometres, suitable for events of type regional, but insufficient for small local events whose detection and precise location must be one of the objectives of the network. In view of which, is produced in collaboration with the Provincial delegation H.e. a detailed plan of actions, whose main lines are, on the one hand, the expansion of the dynamic range of the register, and the increased precision in the measurement of time, together with the improvement of the geographical coverage of the system on the other. All of this was achieved through the digitization of the registry, the incorporation of tri-axial autonomous stations and the acquisition of GPS receivers. The analysis of the operation of the system carried out in 1997, indicates the complete detection of events of Richter magnitude, with a lower threshold of 2.0, a geographical area of approximately 17,000 Km2, which includes province, bordering areas and adjacent maritime area, and its location with statistical margins of error, in the order of 500 meters event in the Vega Baja del Segura, area of optimum location in accordance with the design of the device.The implementation of methods from numerical analysis, also allows to obtain focal parameters such as magnitude, which are performed routinely different determinations, the polarity of the first impulse, the seismic moment scale, corner frequency, the size of the seismic source, etc, also resulting in focal mechanisms of the events more significant in cooperation with the national seismic network. Since 2004 the collaboration of the Diputación Provincial de Alicante H.e. in terms of seismic activity with the University of Alicante, has been through collaboration agreements with the Provincial Consortium for the prevention and extinction of fire and rescue of Alicante service. Through these agreements are financed in 2009 installation in Alcoy's first station (Very Broad Band) broadband unit of seismic record keeping in the Valencian Community. These data are shared for your operation with the national geographical Institute. This station allows better coverage and greater accuracy in the detection of events in the North of the province of Alicante and the South of the province of Valencia. Year 1999: Analysis of seismic hazard in Areas where are foreseeable earthquakes of intensity equal to or superior to MSK VI (for 500 years return periods) in the region of Valencia. 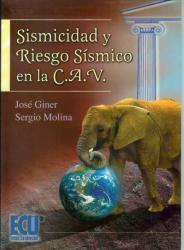 Year 2000: Methodology for evaluation of the seismic vulnerability in buildings or special structures. Year 2007: Mapping Digital seismic hazard of the Comunitat Valenciana. Year 2008: Report for the incorporation of the cartography of slippage and landslides on the basis of the seismic hazard to the cartography of seismic dangerousness of the Valencian autonomous community, including effects of topographic amplification. Year 2009: Proposed methodology for the elaboration of the Plan of Territorial action (PAT) against the seismic risk of the region of Valencia. Year 2010: Seismic hazard in the Comunitat Valenciana (PELSISCAV) incorporated the Special Plan against the seismic risk of the region of Valencia. Year 2012: Seismic zonation of the urban helmet of Lorca.